The ultimate guide to Folgarida ski holidays in 2019 & 2020. This quiet ski town in West Trentino’s Val di Sole is a perfect place to bring the brood, with a fantastic learners’ facility being one of the resort’s highlights. With lift connections to Marilleva and Madonna di Campiglio, the area has plenty of opportunity and as a purpose-built resort strictly based on traditional design; it’s an attractive village with plenty of modern amenities. Nestled amongst the dramatic landscape of the Brenta Dolomites, Folgarida is one of the villages belonging to Val di Sole at the far west end of Trentino. Far from the concrete jungle that usually springs to mind when you hear ‘purpose-built’, the resort has been carefully designed to blend in with the natural environment and look as traditional as possible. With its name translating literally to ‘land of the ferns’, the village is surrounded by a dense forest and National Park regulations make sure that no structures rise above the tree line. This way, you have the accessibility and modern facilities of somewhere that’s been built for skiing whilst still being in a picturesque mountain village. Combining a relatively low altitude town with some runs exceeding the 2000m mark, the set-up offers a great fusion of high skiing with pleasant evening temperatures – perfect for exploring by day and night. Host to an almost exclusively Italian clientele, this is a bit of a hidden gem in terms of international tourism and has a wonderfully authentic and friendly atmosphere. The village starts around the bottom of the Belvedere cable car at 1400m and runs linearly down to 1300m with some shops, restaurants and hotels lining the strip of road. At the bottom of the road is the main cluster of accommodation, restaurants, bars and shops. 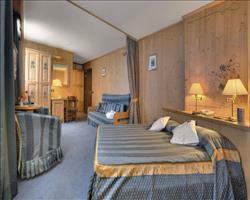 From both ends, lifts take you up to the Malghet Aut ski centre, where you’ll find more bars, restaurants, rental shops, childcare facilities and a giant nursery area. At its most limited, the ski area consists of the network of slopes up to Monte Vigo and those connecting to neighbouring Marilleva. The pistes belonging to the larger resort of Madonna di Campiglio can also be accessed if you upgrade to the Campiglio Dolomiti di Brenta area and there’s also the option of the Superskirama pass for even more villages including snow sure Passo Tonale. View our detailed Folgarida snow forecast or snow report and see all live webcams, piste maps, road and travel maps and lift pass prices. For a picture of historic snow conditions see the snow depths month by month with our Folgarida snow history. Learners should be extremely well catered for and the five local schools usually meet in the town or at the Malghet ski centre. The Family Park at the summit of the Belvedere and Folgarida gondolas is without-doubt the best learners’ facility in the valley – conveniently served by two magic carpets, the wide nursery slope is perfect for practicing parallel turns. The majority of the blues are forgivingly gentle (we like Bamby 34 and Punciana at Marilleva), letting novices get a proper feel for their ski legs before setting off on something more challenging. Pretty much all of the red runs also have blue alternatives, making it possible to get on to exploring the mountain as your confidence grows. The steeper Azzurra run from Malghet is a nice challenge to work towards. Almost half of the runs are medium difficulty, so intermediates should be more than happy here. Try the Orso Bruno in the Monte Vigo area for a steep technical ride - it continues via numerous other runs into the village – spanning a total distance of 8km. The expert runs aren’t quite so plentiful, although you can find some quality descents on Marilleva. Orti begins at the summit of Dos de la Pesa and feeds into the Nera Marilleva, a technically demanding spree through the woods. Nera 1 is as good as it gets when it comes to tricky blacks; designed by the 1967 technical director of the FISI National Ski Team, the course fuses complex technical features with modern artificial snowmaking for a perfectly tuned mountain challenge. There’s a small park at the foot of the Provetti ski run and Marilleva has historically been known to dig out a halfpipe now and again. The real jewel in the valley is in Madonna di Campiglio, where Europe’s largest permanent board park has hosted the top events like the World Championships. On the mountain, Malghet Aut has a number of bars with a shared sun terrace - a great spot to end the day’s skiing. It’s worth noting that non-skiers can also come for drinks here as the area is adjacent to the top station of the gondolas. Grownups can relax on a deckchair with a Bombardino and watch everyone come down the piste, while kids explore the outdoor playground. The Eta Beta at 1300 is the main venue for après ski and nightlife. Known for putting on karaoke and quiz nights as well as themed parties and a daily happy hour, it’s open from around 3:30pm and things get really lively around 11ish (the Italians don’t tend to go out till late!). Eta Beta also has pinball, billiards and WiFi to keep youngsters happy as well as a fast food menu for hungry stomachs. Eta Beta aside, the town’s watering holes come mostly in the form of hotel bars, which are quite lovely for chilled group gatherings over a nightcap. You’ll find a friendly atmosphere in the various restaurants and bars - La Buca is a superb pizzeria and steakhouse in the lower village, while most hotels open their doors to non-residents for an excellent value meal. As far as evening activities go, night skiing is available some nights, most impressively on the resort’s black runs. A short bus ride away is the Ice Stadium for a spot of skating, whilst entertainment evenings are often hosted in the local hotels. When is the best time to ski Folgarida? The geography combined with the relative anonymity of this resort is pretty special in the way that it offers uncrowded skiing for pretty much the whole season. In the coldest months, the resort’s low altitude and pistes beneath the treeline means a day on the slopes shouldn’t be unpleasantly chilly. Blizzard conditions and rotten visibility are rarely a match for the dense forest sheltering many of the runs, whilst 95% snowmaking gives nearly the whole area a decent dusting if needed. Later on in the season, the shade from the trees usually does a good job preventing the snow from turning slushy – which actually shouldn’t be too much of a problem, thanks to NE and NW-facing slopes. 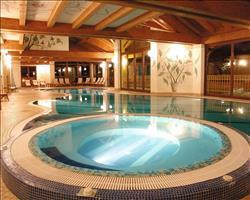 Folgarida’s opportunities for families are what really set it apart from other European resorts. 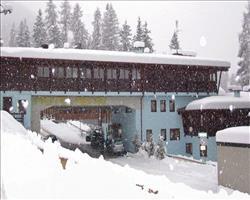 The Park Hotel (which is ski-in, ski-out for intermediates) is right by a bus stop, and is served by shuttles which take guests directly to the Belvedere gondola and town centre. The Family Park at Malghet Aut has a great nursery area and loads of ski schools based here to help little ones find their confidence on the slopes. There’s also the Kinderland facility, which provides indoor and outdoor play areas (as well as child-minding for kids too young for ski school), whilst the Kinderheim project involves morning lessons followed by games and adventures in the afternoon. The Ursus park over in Madonna is a great destination for daring teens, who can get to grips with various kickers and rollers, and perhaps learn a trick or two. There’s a brilliant snow-tubing course on the mountain to enjoy after ski school has finished for the day, and if you don’t mind the journey, there’s an ice rink in Andalo which is a hit with kids of all ages. For a family meal, pizza can do no wrong (try La Buca which we’ve heard is lovely! ), then once any youngsters have gone to bed, the grownups can kick back in their hotel bar without having to worry about being too far away. Groups will love the range of skiing at Folgarida. Beginners can confidently find their ski legs on the gentle, sweeping nursery runs like Malghetto, while experts are able to challenge themselves on the Nera Folgarida and Orti. Intermediates, though well-catered for on the moutain’s uppermost pistes, always have the chance to extend their lift pass to ski the wider area of Madonna di Campiglio for a decent medley of testing reds. There are heaps of mountain huts where group members can convene for lunch – most of which are accessible to all levels given that there tends to be a blue slope for every red. The fantastic Malghet Aut area at 1860m is probably the best place to meet with its huge selection of restaurants and bars, and can be found at the bottom of (blue) Brenzi and (red) Delle Rocce pistes. There are a few sun terraces with deckchairs to choose from here (great for gathering everyone together for a round of Bombardinos!) whilst being next-door to the top stations of the resort’s two cable cars, non-skiers can easily get up to join the party.